It seems like lately, many shops have been renovating and upgrading their images. 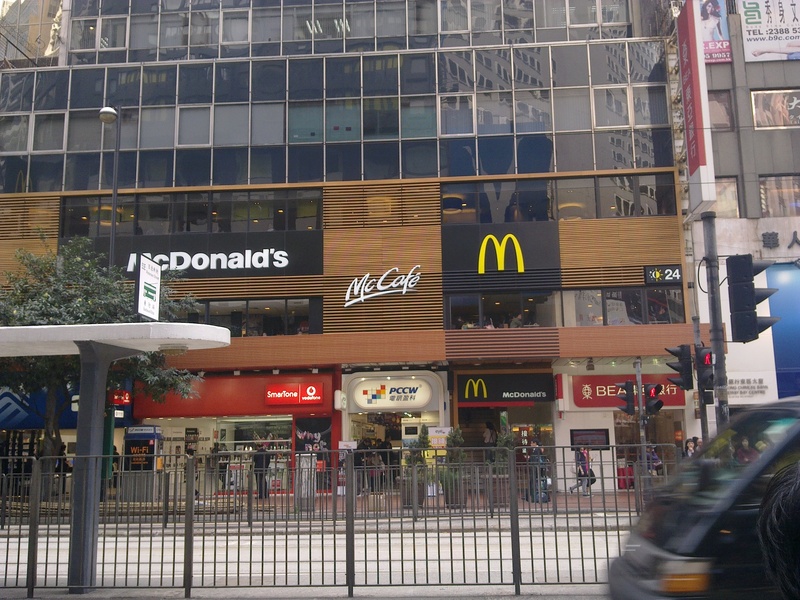 The giant McDonald’s on Hennessy Road in Causeway Bay feels the need to change its name to McCafe even though the coffee section takes up less than 5% of its counter space. 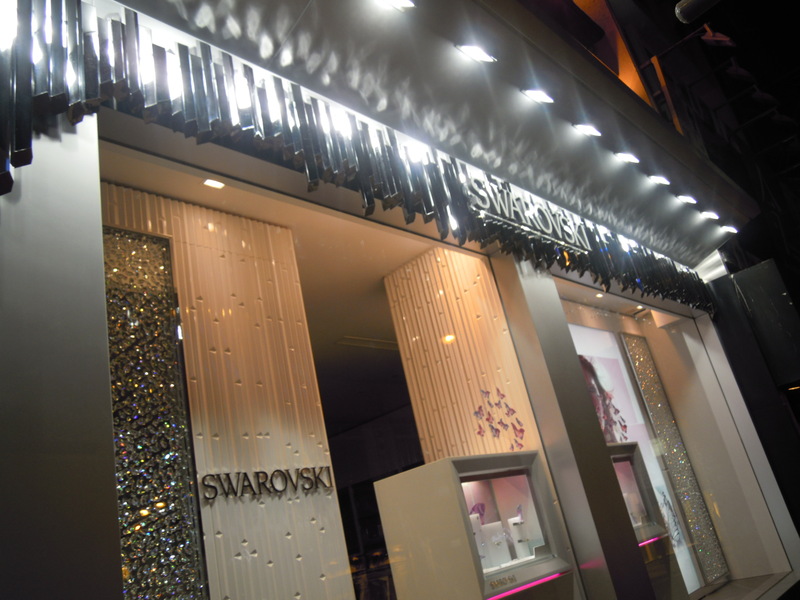 Even a premium brand like Swarovski is suddenly changing from its classic blue color image to shards of silver crystals as its definitive shop image. I wonder if rent in Causeway Bay has been sky rocketing so much, many of the brands that are opening their doors in this expensive area need to revamp to justify their sky rocketing prices as well. What is better than a free cup of freshly grinded coffee on a cold day? 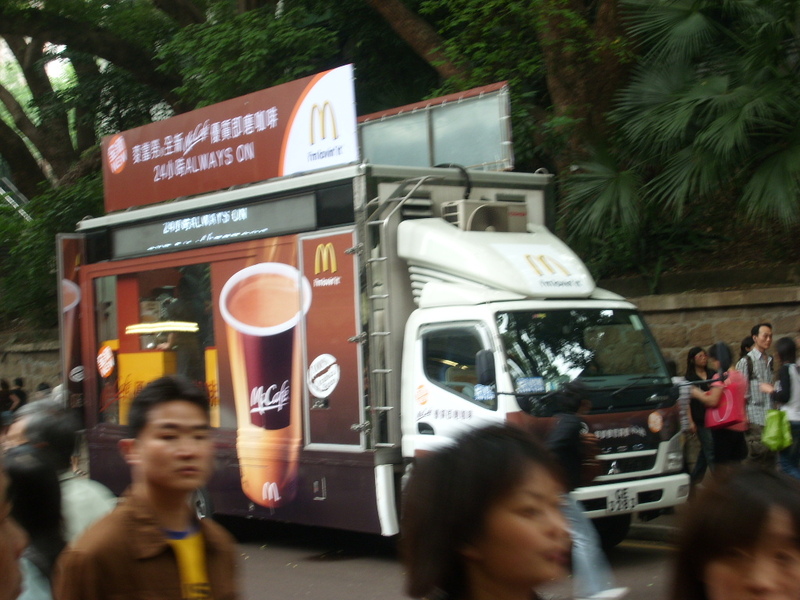 I spot the McCafe coffee truck doing a marketing gig on Canton Road in TST Hong Kong! I know…I really don’t have a lot of photography skills, I’ll keep trying! This seems a very appropirate blog piece for this particular day as I woke up at 6am this morning to open the doors to the warehouse for the delivery men. Golden months of selling from now through Christmas all the way to Chinese New Year, but I am very short-handed and while everyone is out at supermarkets setting up displays, I too, have to be responsible for something…unlocking the warehouse door at dawn, sigh.